Five innovative IT projects have been chosen as the winners of the Computer Weekly European User Awards for Datacentre and Storage 2014. This year the Datacentre and Storage awards have been combined. The Computer Weekly European User Awards for Datacentres aim to recognise innovation in the use of datacentre technologies, virtualisation and its ecosystem of products. 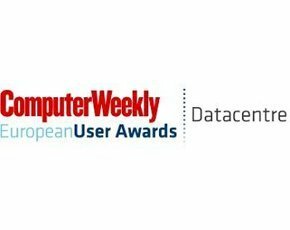 The Computer Weekly European User Awards for Storage aims to recognise innovation in data storage projects that show evidence of improving storage efficiency and effectiveness. Procserve enables secure transactions online and since 2006 has carried more than £2bn worth of transactions. Today they are used by more than 17,000 buyers and 32,000 suppliers to buy, sell and share information within online communities. As Procserve’s business has grown, the number of commercial transactions has started to increase rapidly. The reliability of the service is also becoming increasingly critical to its customers’ business operations. For example, hospitals rely on the Procserve platform to order equipment and supplies for next day operations. As a consequence of this success, Procserve needed to expand its managed infrastructure. It also wanted to extend the virtualisation of its IT environment, as the security of virtual infrastructure had now developed to a point that made it viable to operate to the standards its customers required. Public cloud services, while a good way to scale, were not considered secure enough. So Procserve decided to select a partner to create a private cloud IT infrastructure that could support its next phase of growth. Procserve selected CenturyLink, its long-standing partner, to build out its private cloud solution. Procserve’s private cloud is based on a managed service from CenturyLink, operating at two data centres in the UK: London Docklands and Reading. Both are ISO 27001 certified. The private cloud solution from CenturyLink gives Procserve an economical way of providing 24/7 availability because CenturyLink has the economy of scale to support round-the-clock operations on Procserve’s behalf. LONDON2, its flagship datacentre in Hayes, London, was being built from the ground up, with the aim of facilitating a highly efficient operation with green credentials. VIRTUS employed Romonet to independently assess and determin the lifecycle running costs of the datacentre. The company based this on the performance of different supplier solutions and compared them against the overall capital and operational cost profiles over a 10 year analysis period. By building a number of models of the VIRTUS datacentre, they comparatively predicted the total cost of ownership (TCO) of each option for VIRTUS LONDON2. Based on this assessment, the company knew in advance exactly what to expect from our technical infrastructure’s performance and how the assets would be installed and connected. This substantially reduced the time spent on planning and logistics as well as minimised the risks during the construction phase. Overall project implementation time was reduced by eight weeks, which significantly reduced LONDON2’s build cost, the savings of which are being passed on to VIRTUS’s customers. Romonet’s modelling also validated the choice of cooling solution. Seeking to achieve low power usage effectiveness (PUE) and TCO, it is one of the first datacentres in London to deploy the Excool Indirect Adiabatic and Evaporative Datacentre Cooling, a ground-breaking datacentre-cooling technology. Excool deployments are modular, enabling VIRTUS to roll out more cooling units in direct proportion to the number of racks and cabinets customers buy. The University of Derby’s datacentre project pre-empted future needs from the organisation and created a platform than can operate to support current processes and methodologies as well as predicated. The technology included a 10GB server-to-server bandwidth, virtual stretched clusters, stateless servers with auto-deploy capability, software-defined network and security, consolidated management and cloud bursting. Benefits of the datcentre include improved core infrastructure provision, which is flexible and agile, more resilience to failure and new capabilities to support regional employers and students. With 36 million UK adults accessing the internet on a daily basis, demand for locally managed hosting is soaring, especially as organisations are continually coming up against data sovereignty legislation. This year, Interoute launched two new Virtual Data Centre (VDC) zones in New York and Hong Kong, making its cloud services available globally. It has also opened a new datacentre in London, pledging to tear up the datacentre model pricing rules by abolishing recurring patch charges. Interoute now has 12 datacentres and eight VDC zones, with six across Europe – in London, Paris, Milan, Amsterdam, Geneva and Berlin. Customers are able to manage their global IT operations from one single location. They are given access to the entire network of computing resources across the platform and can choose to create custom compute and storage in any location globally. Customers can also use quick deployments from the Interoute CloudStore, such as Hosted Lync, NetApp and StoneSoft, to instantly create their machines through a series of simple menu-driven options. Interoute VDC offers the option of public, private (MPLS) or hybrid cloud services, defined at the network level. Founded in 1874, Chr. Hansen is a global supplier of bioscience-based ingredients to the food, health and animal feeds industries. Producing cultures and dairy enzymes, probiotics and natural colours, their market position is built upon their product innovation and applications, production processes, long-term customer relationships and intellectual property. The Danish supplier has three datacentres supporting seven production sites and 30 sales offices across 37 countries in 17 time zones. These datacentres run industry applications such as MS SQL, Oracle, SharePoint, Biztalk and SAP, along with Chr. Hansen’s production systems for factory control and their R&D systems. Mid-way through 2013, Per Helsbøl, an IT infrastructure specialist and architect, found the main SQL and Oracle cluster was having performance problems as applications that used these databases “felt sluggish". They also experienced issues with data processing. Chr. Hansen is one of many organisations that encounters performance issues when nearing their storage capacity, as the environment doesn’t have enough IOPS to support the amount of data being processed on applications. Following an analysis of their environment, Helsbøl discovered they didn’t have enough IOPS, specifically their fibre channel HBAs. VMware’s vCloud Hybrid Service (vCHS) is built on vSphere. With two datacentres in the UK, vCHS enables customers to maintain all their data within UK shores, addressing UK and EU compliance and data-sovereignty. Companies want to seamlessly and easily operate a combination of both on-premises (private) and off-premises (public) IT environments, as if they were one. The IT department has traditionally been forced to operate these environments as separate silos, increasing the complexity of the estate and meaning that data migration between infrastructures is often a prohibitively difficult task – negating much of the value of cloud computing’s innate flexibility. Few have the luxury of starting from scratch when extending their IT infrastructures, so most need to consider legacy applications and the existing estate alongside new technology. vCHS enables customers to move data, applications - legacy and SaaS - and workloads freely in and out of these two environments. Biomni, a UK-based service catalogue company, has already seen the benefits of moving to vCHS. “Our challenge was to find a robust solution that enables us to respond quickly to our customers’ demands,” said Angus Gregory, CEO. Kevin Turnbull, head of IT, Bluefin Solutions said: “VMware has provided a solution to a problem which we had been trying to solve for years; how to have a true hybrid cloud which enables you to seamlessly move data and applications freely across private and public cloud environments.